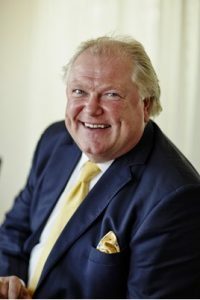 Digital display technology firm Elonex has appointed Lord Digby Jones as its new Chairman. Lord Jones joins Birmingham-based Elonex to work closely with its senior management team as the firm continues to grow market share in the digital out of home advertising and hardware markets. Lord Jones is the former Director General of the CBI, served as Minister of State for UK Trade & Investment and has held many Senior Corporate Advisory positions at global brands including British Airways, HSBC, Jaguar and BP. As well as his new role at Elonex, Lord Jones is the Non Executive Chairman of Triumph Motorcycles Ltd, Thatcher’s Cider Ltd, ProBuild 360 Ltd and On Logistics Ltd, chairs the Advisory Board of Argentex LLP and is a Non-Executive Director of Leicester Tigers plc. Elonex operates a digital out of home advertising network that stretches across the UK and is at the forefront of advancing digital display technology and experiential solutions utilised at large-scale exhibition, entertainment, sport and event venues.